Reviews Food What’s For Lunch? Yes, I know. Many of you are probably saying, “What! What about Sage Dining! They have chicken too!” Just hear me out. The Street family has been monopolizing the restaurant industry in the Dallas area for years now with their establishment of many big-name restaurants such as Liberty Burger, The Black-Eyed Pea, and especially Street’s Fine Chicken. By offering a dining scene like Street’s, the Street family is presenting the public with an innovative niche in the competitive chicken space, which allows the family to continue their culinary legacy. When I walk in the doors to this southern fried chicken joint, the service is very attending. The staff greets you from the moment you enter the restaurant and suggests items off of the menu, as well as sauces that may complement your specific dish. My favorite part is that they are quick to prepare your food and get it out to you. Although the prices are not too outrageous, spanning from about $7 up to $25, it is a bit out of my price range for a visit multiple times per week. They have a very diverse menu, most of which is chicken, of course, from roasted and toasted tenders to sandwiches and salads. My personal favorite, Hell’s Chicken, is a play on the Nashville hot chicken sandwich, consisting of fried breast, tossed in spicy chili oil, topped with jalapeño brined pickles, and enclosed by a light crispy brioche bun. I order this same dish nearly every time I go. With every bite, comes the incorporation the crisp, zesty taste of the pickles, adjoined by the savory piquant aura of the perfectly fried breast, within the grip of the flakey and golden brown brioche bun, that crackles with every touch, consuming my taste buds. Honestly, this dish is really what gives Street’s the advantage to strive ahead of Chick-fil-A. Once again, this may be controversial among many of the readers, especially if you have not tried the number one spot on this list, but this is only one opinion. Opened in 1967, the first Chick-fil-A was established by an American businessman by the name of S. Truett Cathy in Atlanta, Georgia. This colossal fast-food chain, adapted from Dwarf Grill, has over 2,200 locations across 47 of the 50 states, and international locations such as in Canada, South Africa, and Ireland. Disappointing but understandably, Chick-fil-A closes for business every Sunday as well as on Thanksgiving and Christmas, with the intent to give the staff a break and time with their families. I appear at Chick-fil-A probably close to three times a week for an after-school snack, which is where I spend the majority of my money. 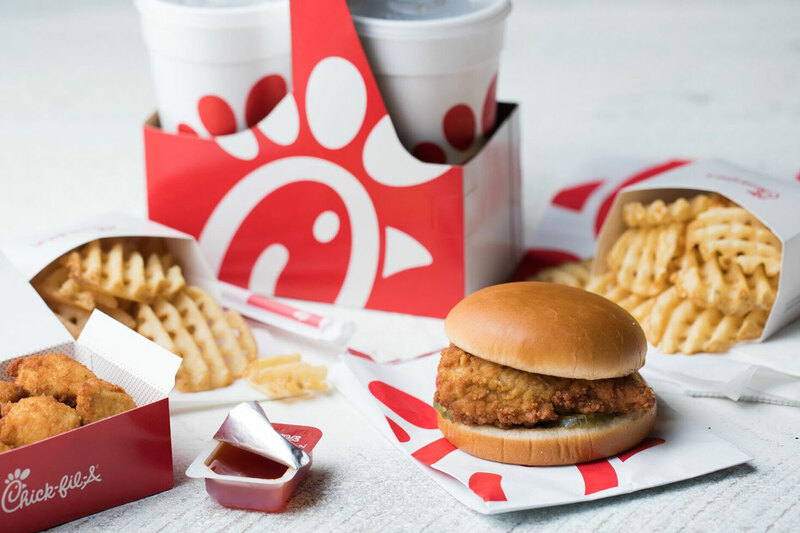 Although they have similar food to Street’s Fine Chicken, Chick-fil-A has a very centralized menu, in the fact that there is not much diversity with the options, at most with the addition of extra toppings on a sandwich. I have nothing against this, especially because I enjoy the generic Spicy Chicken Sandwich and 12-count nuggets quite often. With a plethora of sauces, Chick-fil-A does offer a diverse flavor combination with each meal. My go-to meal is the Spicy Chicken Sandwich and 12-count nuggets, like I mentioned earlier, with Zesty Buffalo sauce for my nuggets and Chick-fil-A sauce for the sandwich. One of my favorite parts of the sandwich is the bread because let’s face it, everyone loves the bread. It is light and does not fill you up, but still adds great flavor to about everything it is paired with. And the nuggets, each having the crispy brown flakes on the end, are probably the most desirable aspect of the nuggets. Last but not least, the service. Everybody, and I mean everybody, acknowledges the incredible service of Chick-fil-A. From the moment you enter the drive-thru line or the double doors at the front, you are greeted by staff, awaiting your order. And we can’t forget, Melanie, the extremely nice lady who always asks to refill your drinks, but only after you remove the lid and straw. Yes, the quality of fast-food at Chick-fil-A is better than that of many other places, but let’s be honest, the service is the best part, giving it a spot at number two. From West Village in 2005 to Inwood Road in October of 2013, Village Burger Bar has made a dent in the Dallas food industry. Its founders, Mike and Susan Matta, have grown this food-chain into a widely known burger joint across four locations in the past 14 years. Recently, though, Firebird Restaurant Group has acquired this company for a total number of six restaurant chains, intending to maintain the current menu and staff at each location. 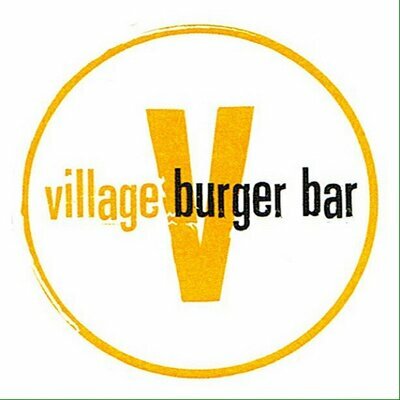 Village Burger Bar serves as a great hang out spot, whether it is after a game or just a casual lunch gathering with your friends. About half of the time, when I enter the restaurant, I struggle to find an open seat with enough space for four or more people, especially when its raining. VBB has an assorted menu, with options spanning from creative burgers, made with a blend of tenderloin, chuck, and brisket, to salads, and my favorite, the panini. Specifically, the Almost Cuban. This panini incorporates the true ingredients in a Cuban sandwich, including the Swiss, pickles, roasted jalapeños, yellow mustard, braised pork, and smoked ham. Typically, I am not a fan of Swiss cheese; I’m more of a pepper jack kinda guy. Despite this, the mild, dry, and semi-sweet cheese truly emphasizes the Cuban infusion with the tender meat and crispy toppings. Not to mention, the bread is thin, light, and crust-like, and I love it. Service is decent, but nothing compared to Chick-fil-A. The staff at the register are nice and approachable, for obvious reasons, but the food takes a little bit too long for my liking. The prices are reasonable, and considering the number of fries they give you, it is totally worth it. The Almost Cuban is at the top of the price range for paninis, but at the top is the salads, which does not surprise me, regarding the fresh produce and other ingredients used to make it. Overall though, I love Village Burger Bar and I would go there any time. With a small number of about 20 locations from Texas to the East Coast, Picasso’s Pizza offers a variety of Italian cuisine including pizza, calzone, pasta, and salad. Although it has been a while since my last visit, I vividly remember the inviting atmosphere and the quality of food. My favorite, a pizza, of course, the Sweet N’Spicy, compiles zesty and savory meat, including pepperoni and Italian sausage, as well as sweet red onion, jalapeño, and pineapple. Each time, the pizza abandons its sweet yet spicy palate, that lingers on my taste buds, and each bite, just makes me crave another. And that means more money, but is not too demanding if you are with a group of people because they are well-sized pizzas, and they have a super size for 30 dollars, which is, from my experience, a ton of food. Unlimited. Buffet. Chicken and rice. What else do you need? Nothing. Sage Dining Services, founded by Paco and Tina Rodriguez in 1990, is a private college and independent school dining company that strives to develop a food program that meets your community’s culinary, nutritional and social needs, and that does so within a reasonable budget. Sage is located in many Dallas high schools including Hockaday, ESD, Shelton, Bishop Lynch, Ursuline, and best of all Jesuit. Every morning for breakfast, and every day at lunch, Sage serves us with the finest and freshest of ingredients and a plethora of cultural dishes. The best part is that it’s free! Well… to an extent because as students, we are not paying for it. I think the overall favorite, and I believe I can speak for everyone, is the Sage staple, chicken and rice. Around 3 – 4 times per week, the staff prepares meals, whether it has American or a variety of Asian influence, and it consists of chicken, rice, and complimenting vegetables. Not only is there a main course, but around 2 – 3 times per week, dessert. And for those of you that know me, I love dessert. Some of my favorites are the Tres Leches cake, cinnamon bread, and Fruit Loop Rice Crispy treats. And there is a machine for fountain drinks, which is a huge bonus. The service is fantastic and the members of the staff are all congenial. All in all, I love the company and I think the switch to Sage was the way to go. Overall, Street’s Fine Chicken is my number one food choice near Jesuit, not only because of its prime location – like every other place – but also because of the quality of the chicken especially, the Hell’s Chicken. Although a notch down from the service at Chick-fil-A, the quality of the service, as well as the food, is very appealing, which is a bonus when ranking these restaurants. All of these restaurants have fantastic qualities that appeal some days over others, but today I believe Street’s comes out on top.